These policies were reversed in 1972 when Congress passed the Indian Education Act, which made it legal to teach children in indigenous languages and gave tribes the authority to control schools. This was further enforced in 1990 when Congress passed the Native American Languages Act, which was designed to preserve, protect and promote Native Americans’ rights to use their indigenous languages anywhere. Today, approximately 167 indigenous languages are spoken in the US, and it’s estimated that only 20 of these languages will remain by 2050. Navajo is the most spoken Native American language, with 170,000 speakers. 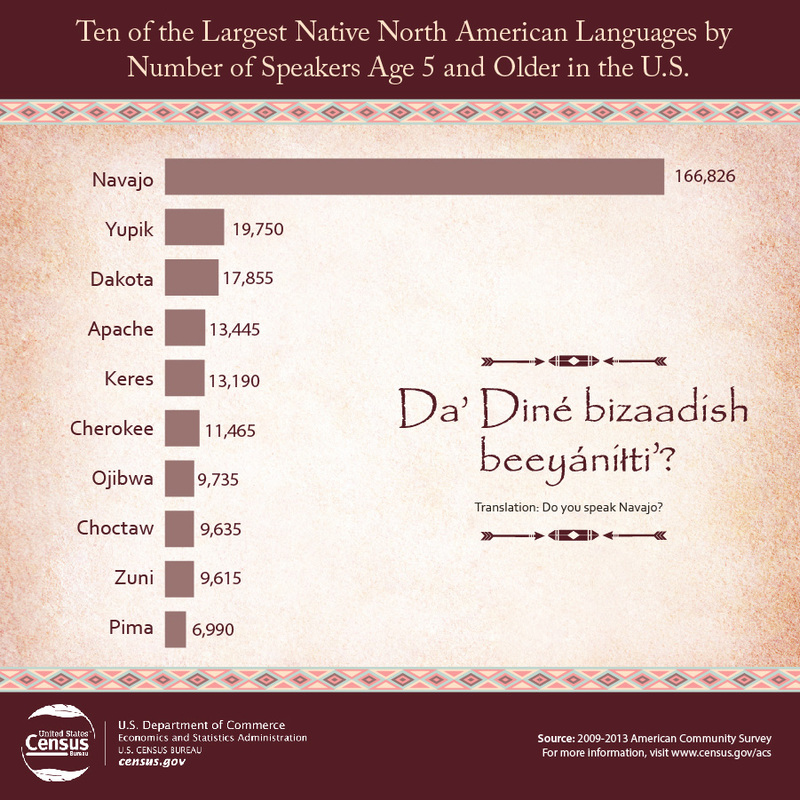 Even with this number, the Navajo language doesn’t make it into the top 25 languages spoken in the US. The majority of Native Americans today only speak English. Native Americans, and Native American women in particular, have been treated unjustly historically, and as a result, many Native Americans haven’t fully trusted the government. Native Americans weren’t made citizens of the United States until 1924, yet despite their citizenship, they couldn’t vote in all 50 states until 40 years later because states had the authority to determine who voted. In addition, Native American women are the most likely demographic to experience sexual and physical assault. A Department of Justice survey shows that of 2,000 women surveyed, 84 percent of Native American and Alaskan Native women have experienced violence, and 56 percent have experienced sexual violence, of which the violence came from non-tribal members in over 90 percent of the cases. This is a huge problem because tribal courts don’t have the jurisdiction to prosecute non-tribal members. When two Native American women were voted into the House of Representatives in 2018, Native American communities rejoiced because they will finally have a voice and visibility in government. Deb Haaland, a Laguna Pueblo from New Mexico, and Sharice Davids, a member of the Ho-Chunk Nation from Kansas, are the first Native American women to serve in Congress. Many view this as a victory in leadership for a demographic that has historically been overlooked. Creating favorable conditions for knowledge-sharing and dissemination of good practices in regard to indigenous languages. Integrating indigenous languages into standard setting. Growing and developing through elaboration of new knowledge. Many people from different organizations globally have already spoken up in support of indigenous languages, and several videos are available to watch on the IYIL2019 website as well as YouTube. In addition, many activities have been created globally to support IYIL2019. A map on the IYIL2019 site shows the name of the event and the location, and we encourage you to attend one of these events. If you need help with translations of indigenous or other languages, please contact us at 860-362-0812 We look forward to helping you with your document translation needs.